Yess. Today I'm starting with my Pretty little liars inspired nails serie. If you're as nail obsessed as I am and have a great eye for details you already noticed how they went crazy with their nails especially at the end of season 2. The makeup artist or whomever did their nails did a very very good job. At one point I was more focused on the nails than on the storyline. 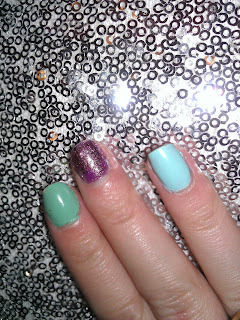 And that's when I decided to do this inspired nail series. 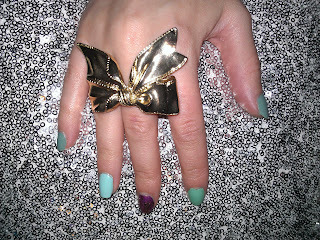 The new look of today is inspired by Hanna's nails. In a view episodes she has more than one nail color on her nails but with a pattern. 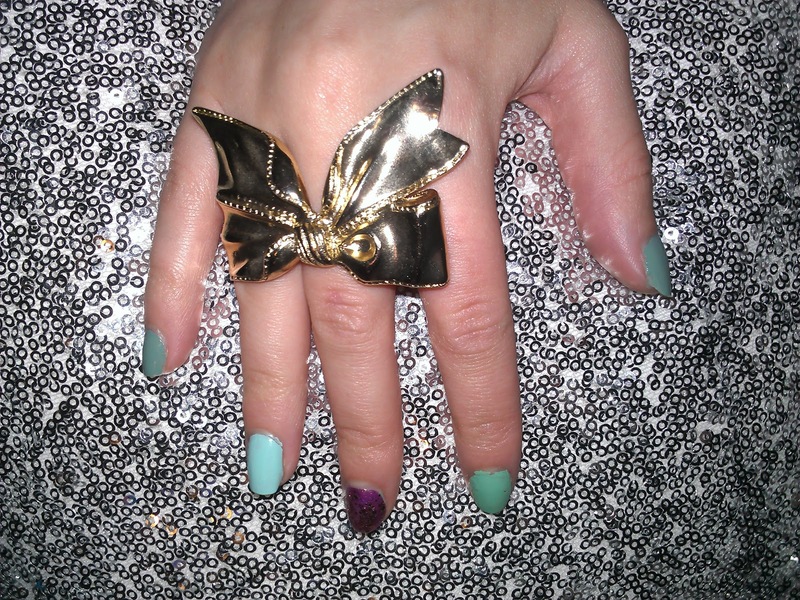 She has one or two flashy nails and the others are more toned down, so I also did that. I didn't exactly used the same colors or copied one of her looks [because otherwise it wouldn't be inspired] but I gave it my own twist. 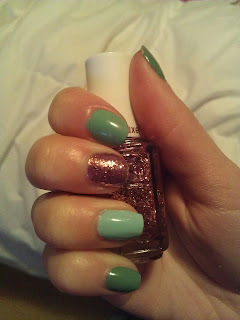 On my ring finger I wear Mint candy apple [Essie]. On my middle finger I wear It's my year [OPI] - a glitter pink/purple color with a metallic gold sheen - with ontop of it A cut above [Essie] - a glitter nail polish - . 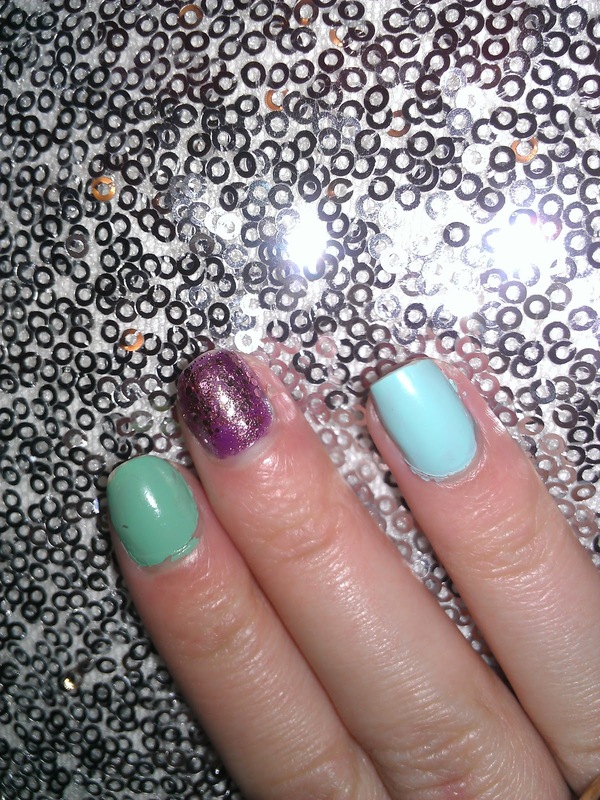 And on my index finger I wear Mint macaroon [ New York Color] - which is a darker mint green than Mint candy apple -. And on my thumb and pinkie I wear Thank a windmillion [OPI].